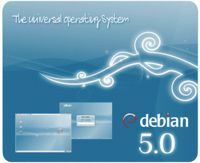 Good work, Debian Project: Debian GNU/Linux 5.0 is released! debian Lenny (5.0) is out. It means vinland will run on stable debian. It means we have php5-xcache in stable debian, we have solr in stable debian. Big step indeed, making it possible to produce similar smooth Midgard experience for Debian as we now do for Ubuntu Server.